Chicken and Leek pie…God’s own lunch! There are rampant culinary debates around what exactly constitutes a pie, is it pastry, is it potato, is it all encased in pastry, is it baked, is it steamed……bottom line, I don’t care and neither should you. If it looks like what you consider to be a pie then it is a pie. 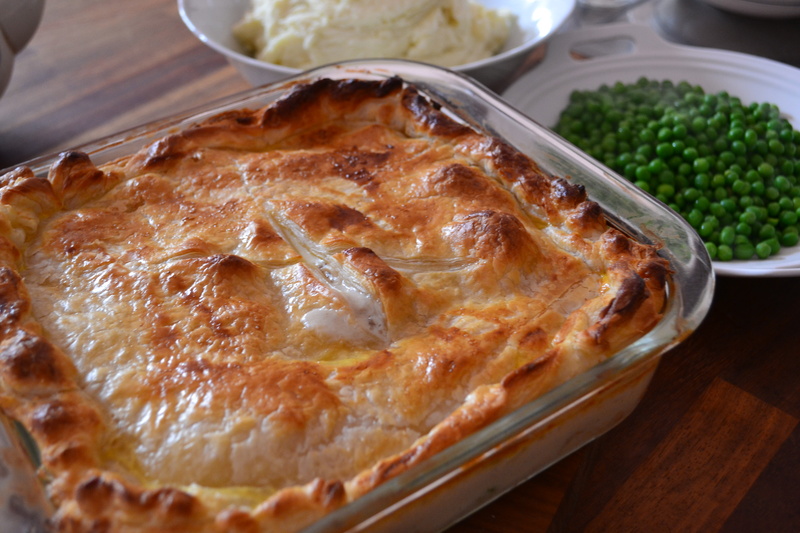 Chicken, beef, fish, vegetable, apple, pork….these are all pie fillers and for the the first of my ‘Pie series’ I’m starting with the simplest..chicken. This is the simplest pie you will ever make and in truth is more an arrangement and heat through than a complex cook up. Start by stripping down the whole roasted chicken and tearing it into bite sized chunks, if it needs it then give it a season. I like to keep the skin but I shred it and scatter it in amongst the chicken and leek. Scatter the chicken into a square pie/casserole dish then top it with the sauted leeks next ‘smother’ it with the white sauce and finish it with the puff pastry. This pie will take 25-30 minutes in a 160 oven – before slinging into the oven brush the pastry with the egg wash which will ensure you get a well browned finish. 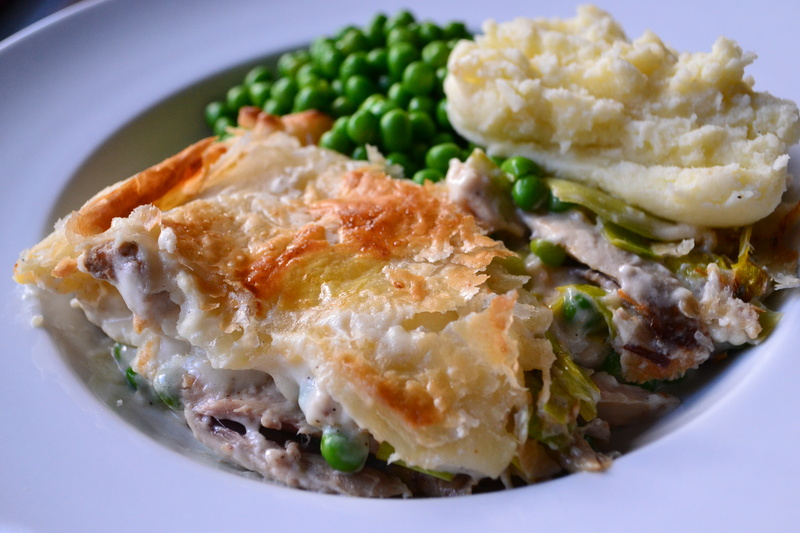 Serve with a buttery mash and something green and fresh..pies n peas works really well!